Government Issued Identification: All passengers traveling on 1 day tours must present government issued, photo IDs for airline check-in. No refund given to passengers denied boarding due to lack of proper identification. Upon arrival, call to reconfirm pick-up time and pick-up location. Lava viewing conditions change daily. We do not guarantee the viewing of active lava flow. Airline schedules may prohibit the operation of these tours at any given time. In order to be in compliance with FAA regulations, we require the full names of all persons on the tour with air transportation. International visitors must have a valid passport to fly interisland on these tours and all U.S. citizens must have a current government ID. This name must be exactly as it appears on your valid, government-issued photo identification. Air carriers will deny boarding if the passenger name, as shown, does not match the name on their air ticket. If a passenger is denied boarding due to non-compliance with this requirement, there will be no refund. Operates daily. This tour does not operate Christmas, New Year's Day or Thanksgiving. 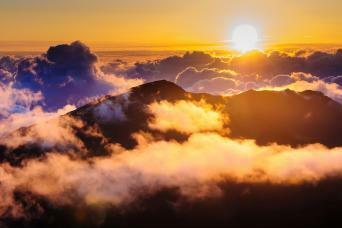 Enjoy a day filled with beauty, legends and the saga of Kauai, the "Garden Island!" 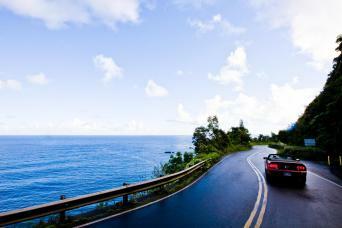 This highly personalized scenic tour is fully narrated by specially trained drivers/guides. 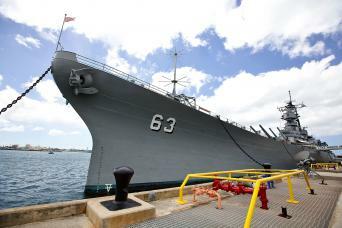 Your day begins when we pick you up from your Waikiki hotel and take you to the Honolulu Airport where you will board an Hawaiian Airlines flight to Lihue, Kauai. 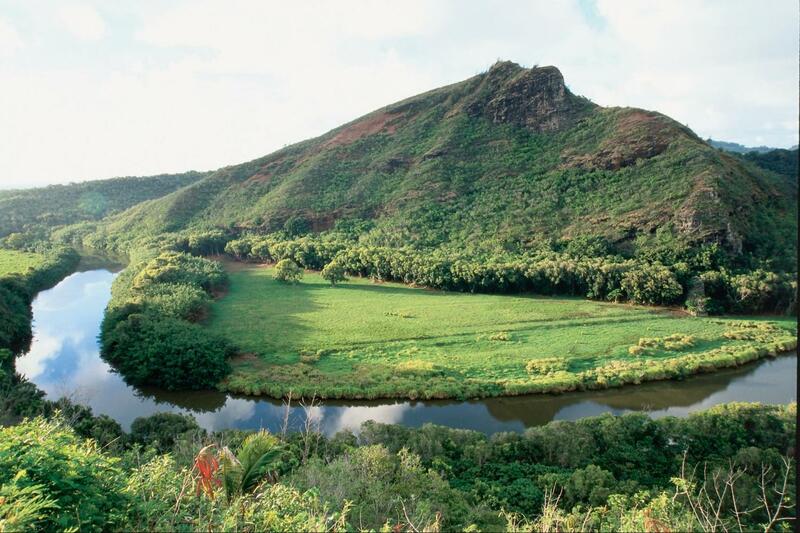 From the airport, we will take you on a drive through Lihue Town and on to the abandoned fields that display the relics of Kauai's long-time sugar industry. In the town of Waimea, you will see the statue of Captain James Cook, a British sailor, who changed the course of history for Hawaii when he sailed into the Waimea Harbor in Janauary 1778. 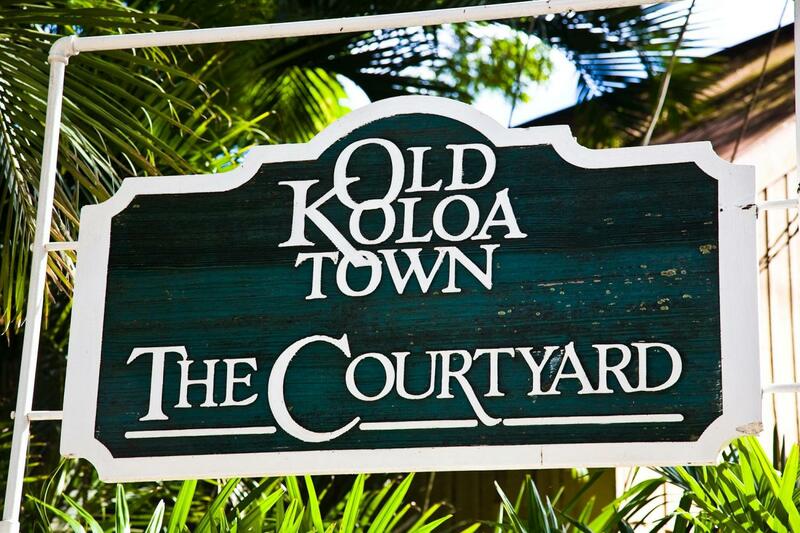 He reportedly was the first westerner to ever set foot on the islands. 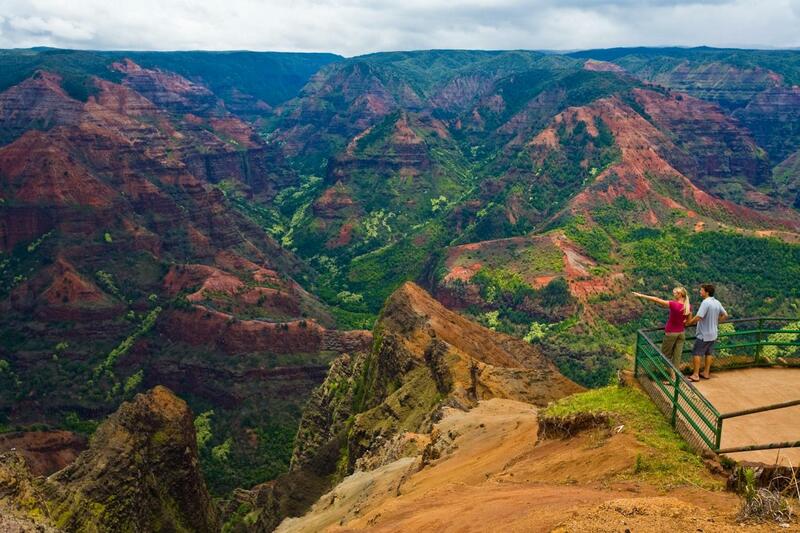 Waimea Canyon Drive takes you to one of the scenic lookouts where you will view Waimea Canyon, the "Grand Canyon of the Pacific." 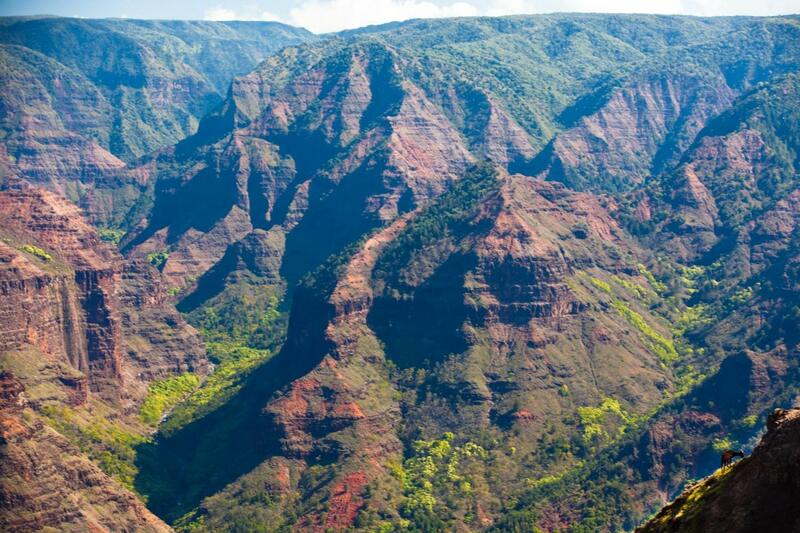 Waimea Canyon is the largest canyon in the Pacific and truly a dramatic sight to behold. The canyon measures 10 miles long, 1 mile wide, and more than 3,500-feet deep. 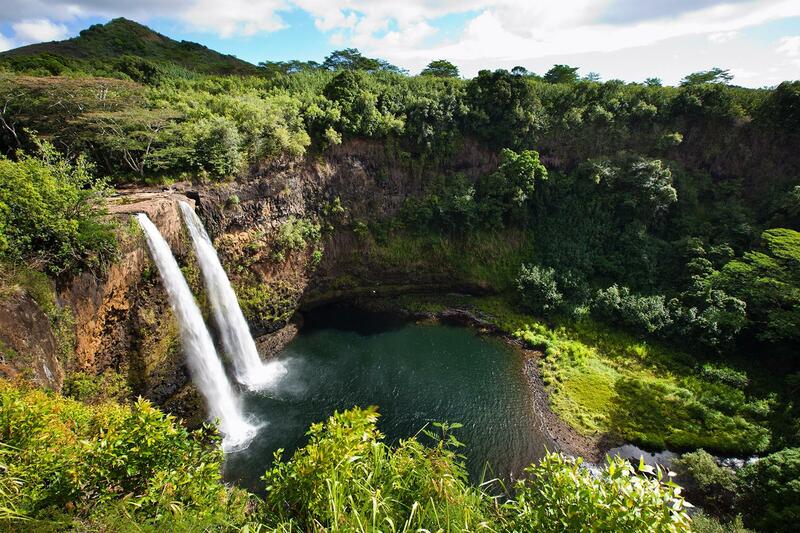 It was carved thousands of years ago by rivers and floods that flowed from Mount Waialeales. 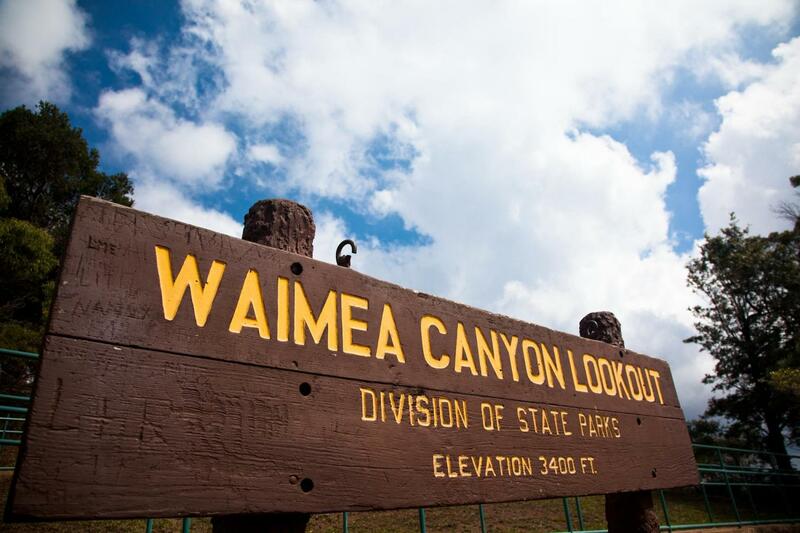 Leaving Waimea, you will see numerous historical and geological landmarks such as the Russian Fort Elizabeth, the Koloa Sugar Mill, and Queen Victoria's profile. 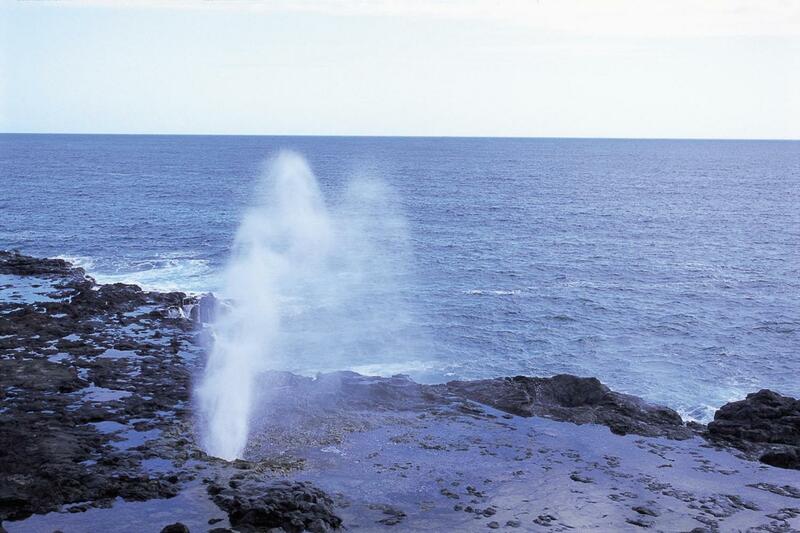 In the resort town of Poipu, you will see the Spouting Horn, a natural wonder that occurs when water rushes under a lava shelf and bursts through a small opening at the surface. We stop for lunch (on your own), usually at the Poipu Bay Grill and Bar on the world-class Poipu Bay Resort Golf Course. The tour then takes you on an entertaining and musical cruise down the Wailua River, the only navigable river in Hawaii, to the famed Fern Grotto. At the grotto, you will be serenaded by Hawaiian musicians playing traditional, local songs. The acoustics within this natural amphitheater are fantastic and greatly enhance the singing and guitar accompaniment. The trip up this historic and sacred river takes about 40 minutes via a long flat bottom riverboat. As we wrap up the tour, we stop along the roadway to view Opaekaa Falls. Then, its time to fly back to Oahu.